Basics: Shake product well before using. 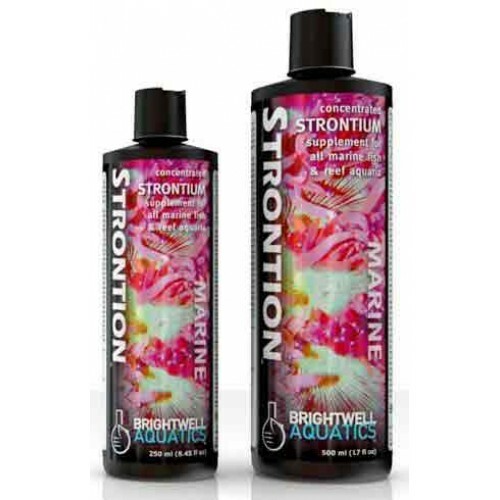 Add 5 ml (1 capful) of product per 20 US-gallons of aquarium water every other day or as needed to maintain the strontium concentration within a range of 8 - 12 ppm. When used in this fashion, 250 ml treats up to 1,000 US-gallons (3,750 L). 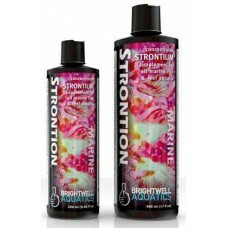 Strontion is a strontium supplement for marine aquariums.